Our honey is all natural raw honey. It is of the highest quality. 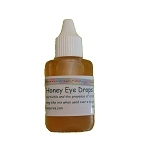 All of our honey products from the wonderful Eucalyptus and honey cough drops, to our Lemon Cough Remedy are best sellers. We also sell the natural comb and creamy spun honey as well as our nuts & honey!